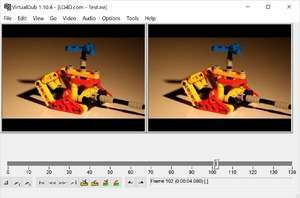 VirtualDub is a popular video processing tool which provides access to a rich set of features only a professional could ask for. It's completely free and open source. With VirtualDub, you can process multiple videos, apply a multitude of different filters, delete or compress segments and use one of many tasks in its extensive tool menus. This program is highly configurable, able to take advantage of many different codecs and filters and make your video projects perfect. Version 1.10.4 is a freeware program which does not have restrictions and it's free so it doesn't cost anything. For security reasons, you should also check out the VirtualDub download at LO4D.com which includes virus and malware tests. Additional screenshots of this application download may be available, too. VirtualDub download been highly rated by our users.